The phrase, “Für Ihre Zicherheit,” “For Your Safety,” was taken from a German flight instruction safety card on a flight between London and Düesseldorf, Germany in 1985. 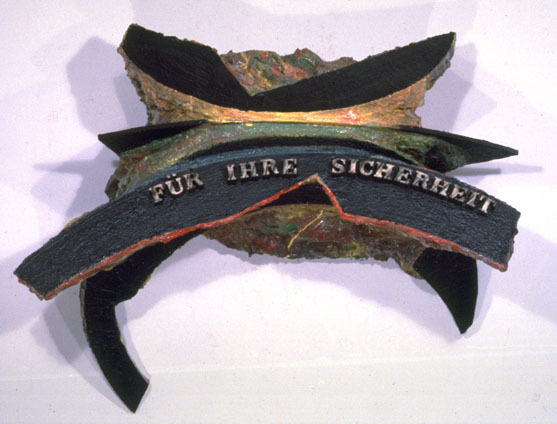 The piece was part of a series on words in sculpture usually of a cautionary nature. H: 38 in. x W: 4 ft. 5 in. x D: 23 in.